Get in shape and look good while doing it Green style! Move with ease and give your legs a spa treatment in these long drawstring pants from Adea. It’s made with seaweed, which contains carbohydrates, amino acids, fats, Vitamins A and E, and carotinoid to promote skin renewal upon contact. Women’s Long Drawstring Pants, MyAdea.com, $144. 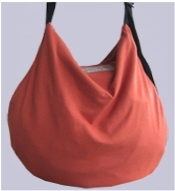 Carry your yoga mat in style in a Dear Lil’ Devas bag. It’s made of bamboo, hemp and cotton and has an adjustable shoulder strap. DearlLilDevas.com, $45. Don’t have time for the gym, but want to stay in shape, then leave the car at home and run errands in your Muscle Trainer Sneakers. 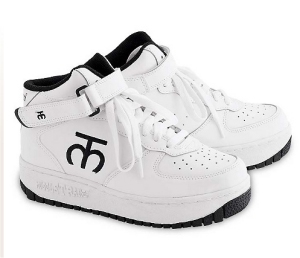 They look like your everyday sneakers but are 3-4 times heavier, lets you burn up to 300 calories in 30 minutes, and can increase your heart rate and oxygen intake by 25% and decrease your body fat. Gaiam.com, $109. In between working out, rehydrate with Park City Ice Water. This real Artesian drinking water comes from Pure Glacier Ice and does not contain pesticides or contaminants that ground water is exposed to. It is also the first environmentally-friendly bottled water since it requires 75% less energy to produce, is recyclable, and takes up 96% less landfill space as it rolls up and becomes flat. 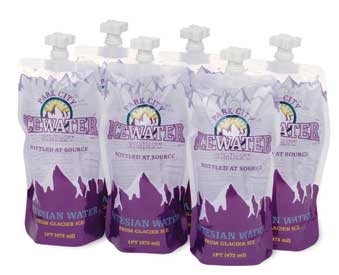 EarthFriendlyIceWater.com, Check website for locations in your area for purchase price.